Maples Industries, Inc. (“Maples Rugs”) is a leader in the tufted rug industry. The company was established in 1966 by John Maples Sr. and his son Wade. Today we continue to be privately held and actively managed by Wade Maples, his wife Pat and their son John. 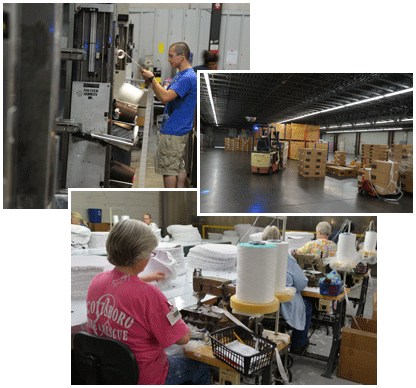 We employ approximately 2,000 people and are proud to be the leading employer in Northeast Alabama. Rugs produced at Maples at our four facilities in Scottsboro, AL are sold internationally and to the country’s top retailers including Target, Walmart, Bed Bath & Beyond, etc. As a major producer of bath, kitchen, area and accent rugs we are always looking for qualified candidates to join our work force. Eligible employees receive a generous benefits package which grows based on years of employment.